Boston, you have nothing to be ashamed of. By Kyle Scott Clauss·	 7/27/2015, 2:39 p.m.
Leave it to Boston to find a way to win, even in defeat. Perhaps because it’s not really Boston who has lost. That would be Boston 2024, the Olympic bid killed off by the United States Olympic Committee Monday. As it became abundantly clear in recent months, the interests of Boston and those of the private, unelected, tax-exempt organization were increasingly divergent, even as the lines between the latter and city and state officials blurred. #Boston2024 bid is dead per sources. It was that classic story of a 2006 design school project turned letter to a state senator turned feasibility committee turned nonprofit backed by the most powerful corporate interests in the commonwealth turned smoldering PR wreck. In the coming days, attempts will be made—likely out of Morrissey Boulevard—to further shame Bostonians for their intransigence. While world-class cities like Paris and Rome continue their courtship with the International Olympic Committee, we obstinate bumpkins in Boston will be on the sidelines because we couldn’t pry open our small, blizzard-wracked minds to a once-in-a-lifetime opportunity. The USOC pulling Boston 2024 isn’t an “L” on our foreheads; it’s a badge of honor. The people of Boston, armed only with shoestring budgets and broken public records laws, stood up to the IOC, an organization as contemptible and endlessly wealthy as FIFA, and said: “Slow your roll. We’re doing things our way.” This David-and-Goliath dynamic lends well to an already trite Revolutionary War narrative, but better to one evoking any failed invasion of Russia. But in addition to the crippling cold, Boston’s best defense was its native skepticism. Paradoxically, the major players in this spectacular failure will all walk away virtually unscathed. Mayor Marty Walsh, despite he and lawyers never reading a deeply misleading bid book, will almost certainly win reelection. No one will remember what he did or didn’t read, or his increasingly antagonistic approach to a grassroots opposition group with a budget of less than $15,000. If people remember anything, it will be Walsh’s press conference Monday announcing his definitive refusal to sign a taxpayer guarantee despite signing Bid 1.0, or his request for the final bid book chapters once such a maneuver was politically expedient, after City Councilor Tito Jackson did the legwork of a subpoena threat, which eroded away the city’s remaining lump of patience for bid organizers’ antics. 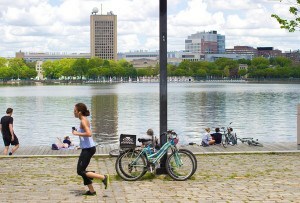 Boston 2024 Chairman Steve Pagliuca will be just fine. Even John Fish’s unceremonious departure will fade away into the shadows of countless new buildings sprouting up across the city. And it’s doubtful that highly involved board members like Larry Bird and David Ortiz will lose any sleep over it. In a similar vein, the folks who will profit most from Boston 2024’s two-year existence are those who fought hardest to bring it down. In many ways, the first and last televised debate between was a swan song for the bid, and a grand introduction to future voters for No Boston Olympics co-chair Chris Dempsey, who emerged as the well-coiffed face and velvety-piped voice of opposition. This is not the last we’ve seen of him, but how will he expend his Scrooge McDuck-sized coffers of political capital? City Council? The State House? 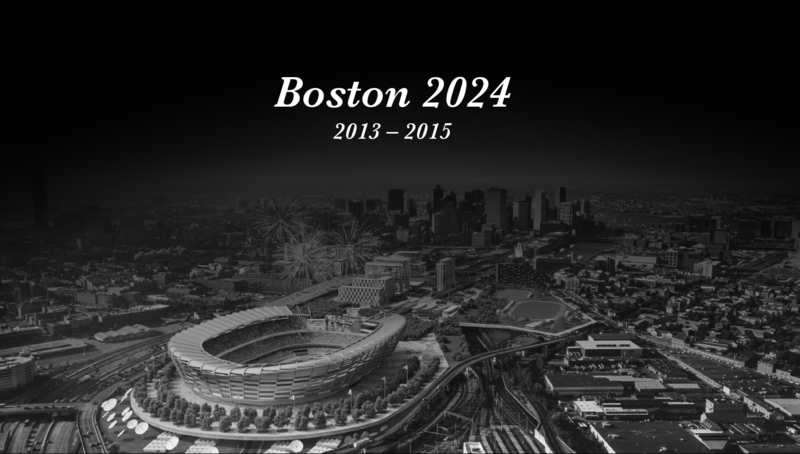 Boston 2024 never recovered from our publication of the first four chapters of its winning bid book in May. As Boston journalists fell in love with FOIAs all over again, the bid proceeded to endure a cascade of arrows—stumbling, bleeding all across the state. By the time city and state officials smartened up and took their dealings off email accounts vulnerable to request, the damage was done. We had already caught a glimpse inside the sausage factory. Few things short of morphine make people glaze over quite like public records reform talk. In Boston 2024, advocates found a boogeyman, a corruptive force to stoke the people’s interest in what exactly their government is up to, who it conspires with, and a flawed yet occasionally successful way of finding out about it. A push for landmark legislation aimed at improving Massachusetts’ abysmal public records laws has coincided with the unprecedented use of such requests to bring down an organization that embraced secrecy while trumpeting transparency. Boston 2024 gave the general public a demonstration of the power of FOIA requests, and why those in power fear them so terribly. So when the dirt is sprinkled on Boston 2024’s grave at Widett Circle, it will have done some good—just not the good organizers had planned. The question now is this: will all the titans of industry who banded together, rallied behind the knockoff Chase Bank logo, and promised transformative change in our region stay true to their commitment to the public good without the prospect of beach volleyball on a marsh in Quincy? With the bid dead, how many will care about your morning commute a year from now? We must now redirect our collective vigor—hopefully toward something a little more permanent than a few drawings of Southie.